Cineworld has been fined a total of £9,500 and ordered to pay £2,573 costs after two of its staff were given potentially fatal electric shocks by a faulty popcorn machine. Defending Cineworld Kathryn Turner said the exhibitor “has an exemplary record with no previous convictions.” Technically true, but the same Cineworld site had a cockroach infestation in 2014 and staff were allegedly told to hush up the issue. Staff at Cineworld in East Didsbury failed to prevent a second worker suffering a potentially lethal shock by switching off the wrong machine, a court heard. 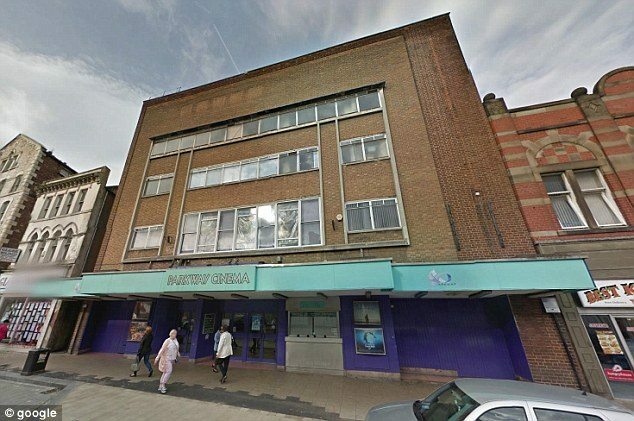 The cinema chain has now been convicted of a breach of health and safety laws for the first time in its history after the incident on December 4, 2013. India – So far only a rumour but money control.com claims that the PVR-Sathyam deal may be off. 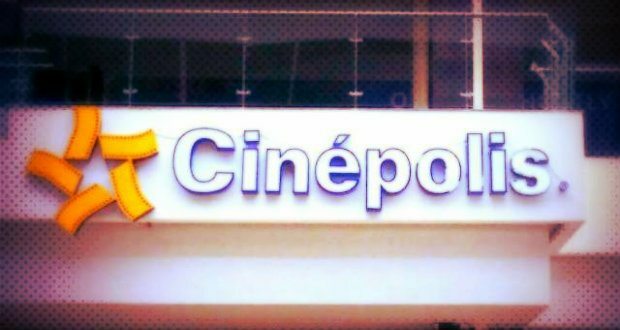 One of the largest M&A deals in the multiplex space has been called off. Sources say PVR ‘s ambitious plans to buy Chennai-based Sathyam Cinemas has been shelved. 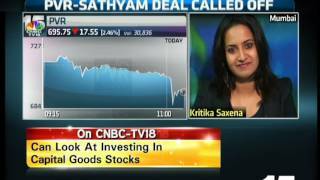 PVR was supposed to buy Sathyam for Rs 1200 crore. According to sources, the deal got called off due to concerns over valuation. 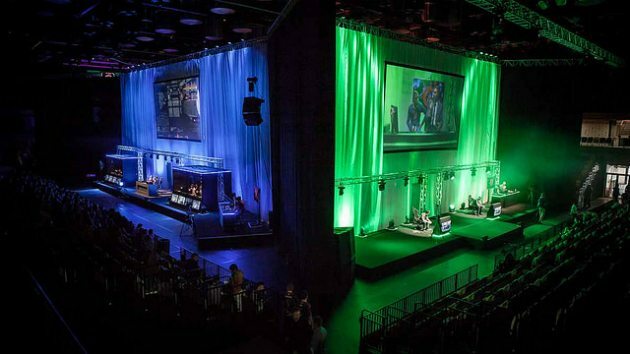 UK – After the announcement earlier this week that Showcase will be selling GBP £10 tickets for people to watch Halo 2, Vue has now announced a partnership with Gfinity for a dedicated eSports venue in one of its London multiplexes. Let’s hope Gfinity’s eSport enthusiasts also like popcorn and Coke. Russia – Putin may have decided against banning Hollywood film, but it seems like Russian cinema will no longer be buying popping corn from Iowa in favour of local grains. 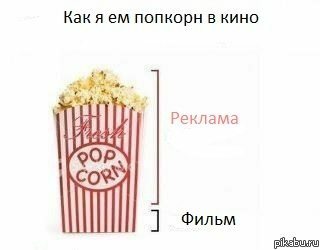 Russian cinema bars are going to make popcorn of domestic products because of ruble depreciation and the ban on food imports introduced by Moscow in retaliation to western sanctions. This cinema-goers’ main dish, package, crisps and salt and sweet additives of Russian produce will substitute the imported products. 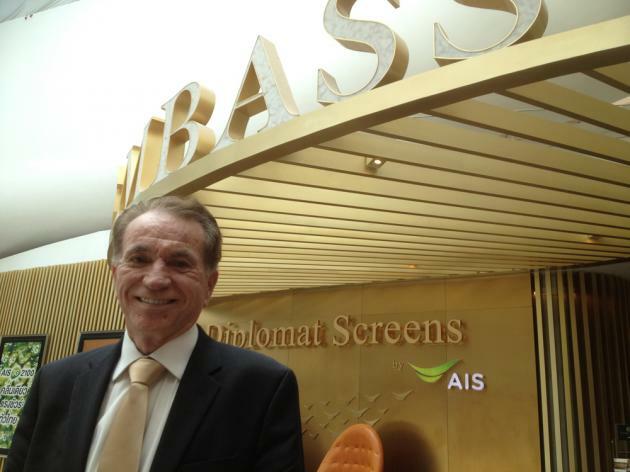 Thailand – The exhibitor with the self-proclaimed highest installation spend per seat in the world – more than half a million Thai Bath, or USD $15,300, per seat for its new 200 seat complex – hopes to be profitable within four, not seven, years. A 64.8 percent totals the number of respondents who choose to enjoy films at home, while another 29.9 percent argues that “there is nothing like watching movies in cinema”. Cost is another factor that generates opposing positions, for while 18.1 percent believe that a movie is very expensive and 49.2 percent which is expensive, it looks cheap feels 14.8 and 1.2 percent even claims is very cheap. Among respondents who do not go to the movies, 25.6 percent reason given the lack of time, 19.9 percent exposes you do not like and 18.4 percent, there are no rooms near you. France – French bank BNP Parisbas’ sponsorship of cinema continues in its second decade. 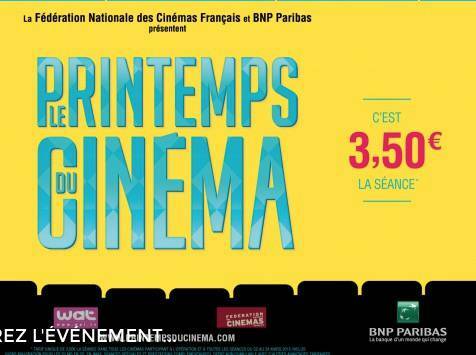 For the 11th consecutive year, BNP Paribas is the Spring of Cinema partner that will take place from 22 to 24 March 2015. It was three days of cinema in the single price of 3.50 euros * the session for all spectators, all films All meetings and in all participating cinemas. BNP Paribas, the exclusive partner of movie promotion operations in theaters, extend the operation of 25 to 31 March 2015 included, offering over 330,000 countermarks its customers and prospects. Thailand – Ambitious plans for small rural community based cinemas across South-East Asia have been scaled back by this venture. 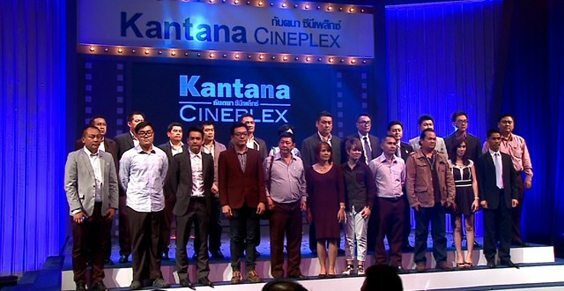 Kantana Group, which planned to build 1,000 community cinemas in Thailand, Cambodia, Laos, Vietnam, Indonesia, Malaysia and Myanmar by 2014, said it is now only going to build 300 following economic stagnation and political uncertainty in Thailand, the Bangkok Post reported. Saudi Arabia – The second ever film festival in seven years in the only major country in the world not to have any cinemas. More than 60 short films will compete for “Golden Palm Tree” trophies crowning best drama, documentary and student film categories at a gala event attended by film and television celebrities from around the Arab world, festival director Ahmad Al Mulla said. 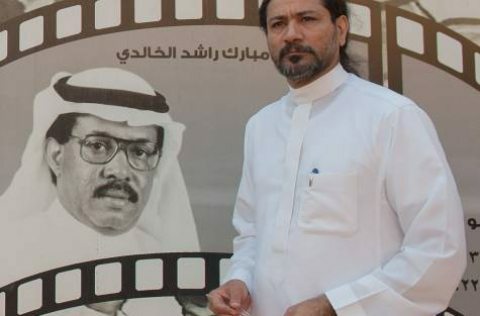 Saudi Arabia does not permit conventional entertainment venues such as cinemas so screenings will take place in an arts centre in the Gulf coast city of Dammam. UK (Yorkshire) – Fisticuff fights between two gangs of women at a Valentine’s Day screening of FSOG. The man who was allegedly attacked by three drunk women at a FSOG screening in Glasgow lost his mother the following day. The victim, 56, was attacked in front of his 51-year-old wife at a Valentine’s night screening of the raunchy movie at the Grosvenor Cinema in Glasgow. The attack made worldwide headlines after appearing in the Daily Record this week. 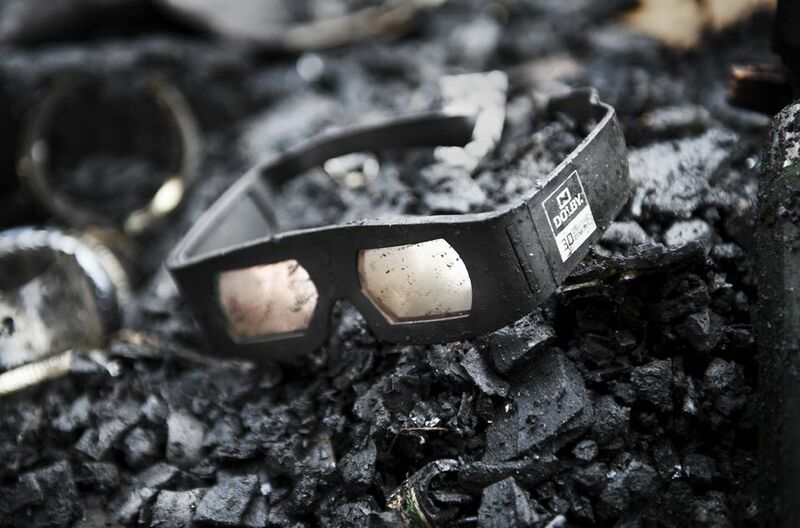 Switzerland – Tuesday’s fire at Zurich’s Kino Houdini, which caused hundreds if thousands of Swizz franc’s worth of damage, is suspected to have been caused by faulty wiring in the bar. Although the fire did not reach the homes that are above the cinema. Nevertheless, about 40 residents had to be evacuated because of heavy smoke in the stairwell and in many parts of the building. They found in a building opposite the hideout and could in the course of the morning back to their homes. The fire occurred disabilities in morning traffic. The Baden Street was closed off to 10 clock between Kalkbreitestrasse and Seebahnstrasse. Tram lines 2 and 3 could not drive their regular route. There were replacement buses in use. Australia – A man has been sentenced to seven years in jail for robbing a cinema and other places of business in Sydney. 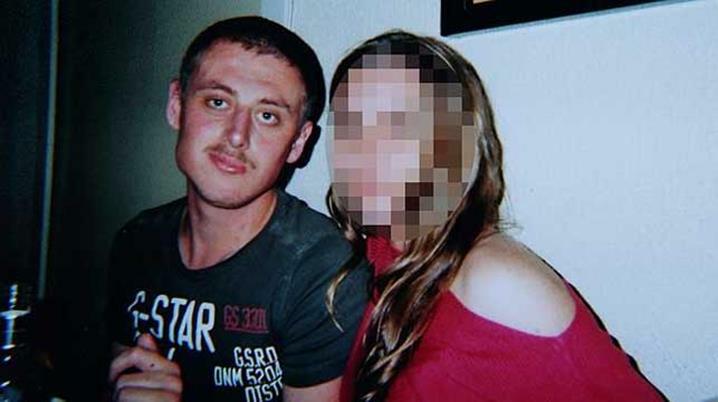 Daniel Roach, 24, stormed Roseville Cinemas wielding an axe in September 2013 with his girlfriend and two other men, one of whom was armed with a sawn-off shotgun. 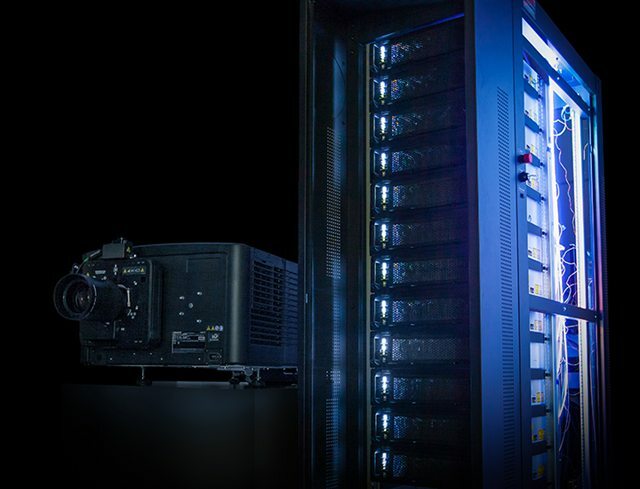 The Netherlands – Christies’ 6P laser projector has picked up major innovation awards in Amsterdam. Christie® earned two highly prestigious awards for technical innovation at this year’s ISE Show in Amsterdam last week. Christie’s 6P laser technology was voted the ‘AV Innovation of the Year’ by leading British based trade journal, ‘AV News.’ The award recognizes the contribution made by individuals and teams to the development of the AV business, and marks the arrival of new technologies that will have a significant effect on the AV industry. Spain – Enrique González Macho, the controversial president of the Spanish Cinema Academy, who fought against piracy and 21% VAT on cinema tickets is stepping down. Japan – For a country that produced “Ai No Korida” Japan takes a surprisingly safe approach in releasing two versions of “Fifty Shades of Grey”. This work, adult love story depicting the perverted love pattern of the young CEO gray giants (Jamie Dornan) and love inexperienced college student Ana (Dakota Johnson). To be able to watch more of the people in Japan, and has been published in the R15 + specification plus some retouching for sensual or provocative depiction, “I want to see the R18 + version” from female fans of more than 20 years of age ” for voice, that more want to be screened something close to the original “was number submitted, was hastily decided R18 + version of the limited screenings. 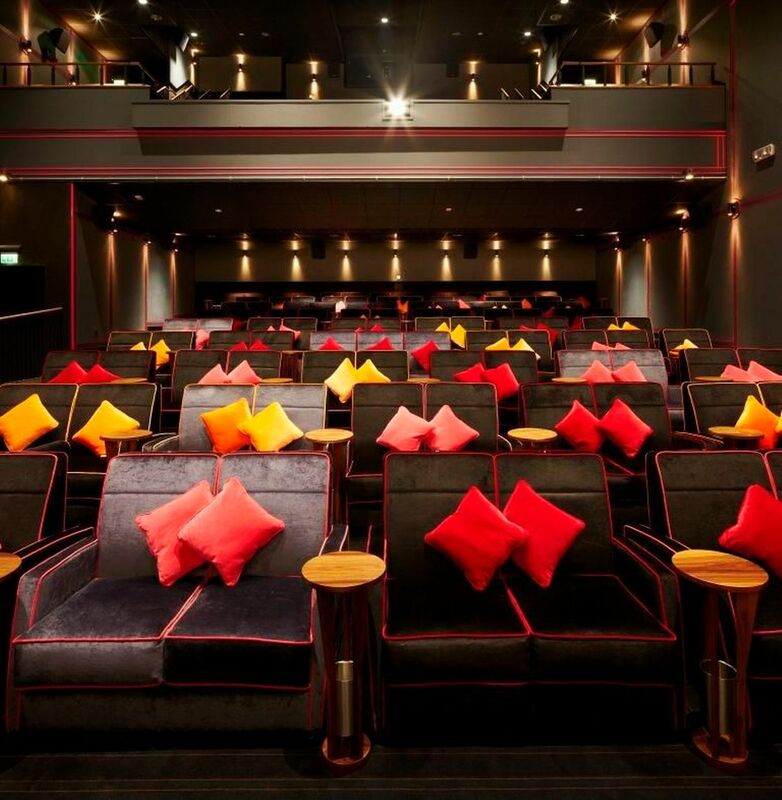 UK – Expectations are high for the new Everyman Cinema in Leeds. Everyman Cinema will open at The Mailbox on Friday, February 27. The luxurious chain of cinemas has already proved popular with movie-goers at various locations across London, as well as Winchester and Leeds. UK – Terrific to see community action result in such a gorgeous cinema. A derelict Victorian schoolhouse has been re-opened as a cinema following a community campaign to stop the conversion into flats of the site in the heart of Rye’s conservation area. 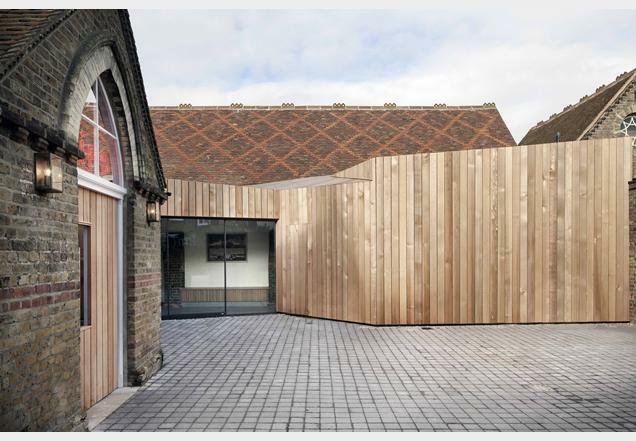 The school, which was last used as a library and adult education centre, re-opened as the Kino Rye last month following a £1.4 million project designed by Jonathan Dunn Architects, which has an office in the town. 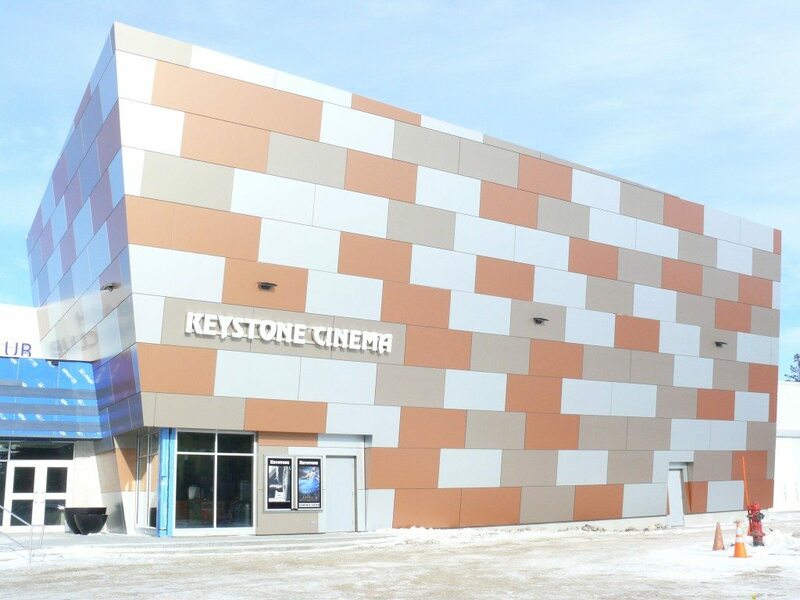 Canada (Manitoba) – The new Keystone cinema in Steinbach is opening this weekend and it looks terrific. The former Keystone Cinema was demolished in 2012 to make room for Steinbach Credit Union’s expansion plans. It was the only theatre in Steinbach. UK – The Light has conformed a new cinema location. 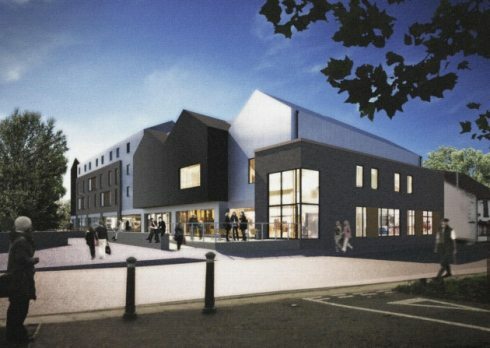 The Light Cinemas, which was founded in Romania but now has two cinemas in the UK and one in Germany, has been confirmed as the latest occupant of the Thetford Riverside Project, led by Breckland Council. The scheme is set to include cafes, restaurants, a hotel and cinema. Travelodge have already been confirmed as the hotel. UK – Odeon brags about how many new jobs its state-of-the art cinema in Milton Keynes has created. Obviously you can’t automate rubbish collection. ODEON has created more than 60 new jobs in the Milton Keynes community as it prepares to open its brand new state-of-the-art flagship cinema this month. 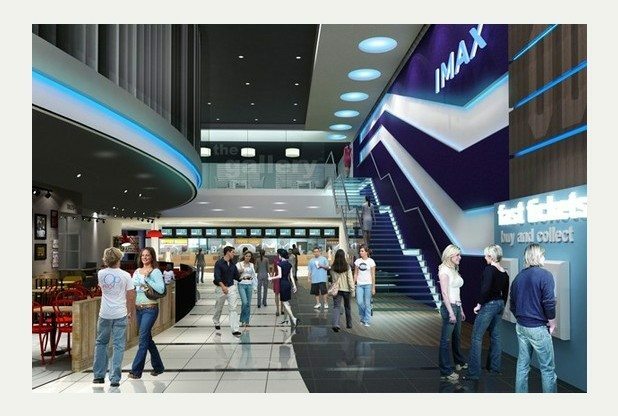 The new cinema, which will contain 11 screens, including a custom designed IMAX®, now has a team of over 70 people. 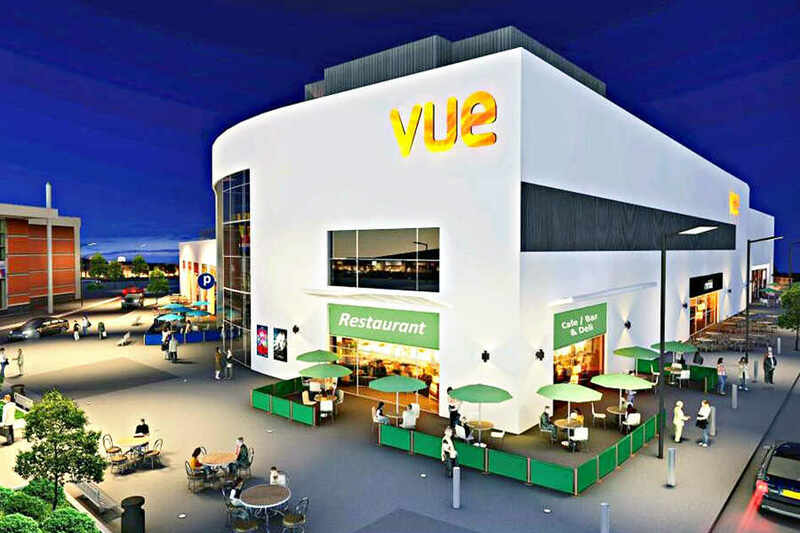 UK – Delays for the opening of the Vue cinema in Walsall. The development, for a nine-screen Vue cinema and restaurants in Littleton Street West, creating 200 jobs, started at the end of last year. It was intended for the complex to open later this year. But the need to carry out sewer works has meant progress has stalled on the site. Bosses behind the scheme say it will realistically be 2016 when the £12 million complex launches. Japan – Toho cinema in Eniwa, the town’s only movie house, may be closing before this summer. 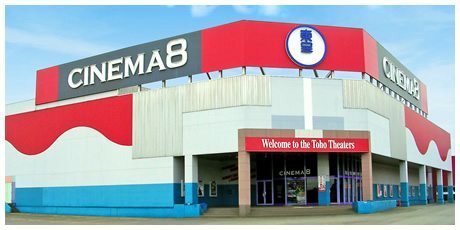 Eniwa Toiso complex movie facilities (cinema complex), it became clear that Eniwa-Toho Cinema 8 is considering closing of the end of May. Although Toho Hokkaido operated (headquarters Sapporo) have to be “anything not be able to answer”, the part of the officials have told its intention to withdraw from the orthotopic, can be seen to be announced as soon as determined officially. Cuba – It’s curtains for one of Havana’s greatest cinemas. 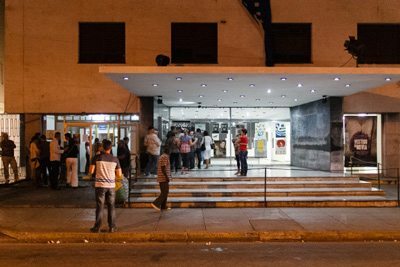 Days ago, I received the sad news that Havana’s Charles Chaplin Theater had ceased to be Cuba’s Cinematheque. The cinema operated as such for over fifty years and, in my view, fulfilled its task. On January 1st, the Cinematheque was moved to the smaller 23rd y 12th Street movie theater a block away. The Independent has a list of the world’s top six hotels that were built in a converted cinema or where a cinema is part of the hotel. We love the all. This building in Downtown LA started life in 1927 as a United Artists film studio. 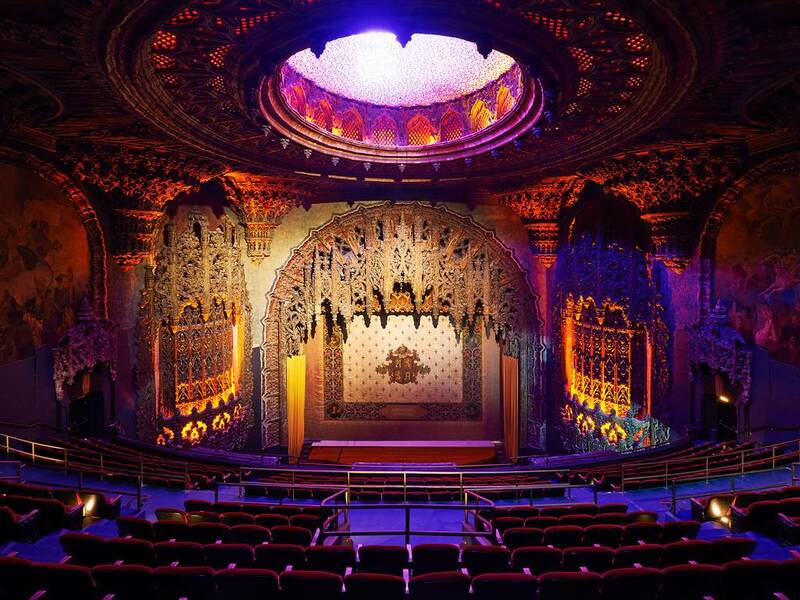 Today, it houses the Ace Hotel, incorporating the restored United Artists Theatre, which is immense with three storeys and 1,600 seats. It’s intricately decorated with a vaulted ceiling and an ornate balcony festooned with thousands of mirrors. Bedrooms are the exact opposite: classically cool with bare walls, wood floors and, in some, acoustic guitars. Suites have kitchenettes and stand-alone baths.